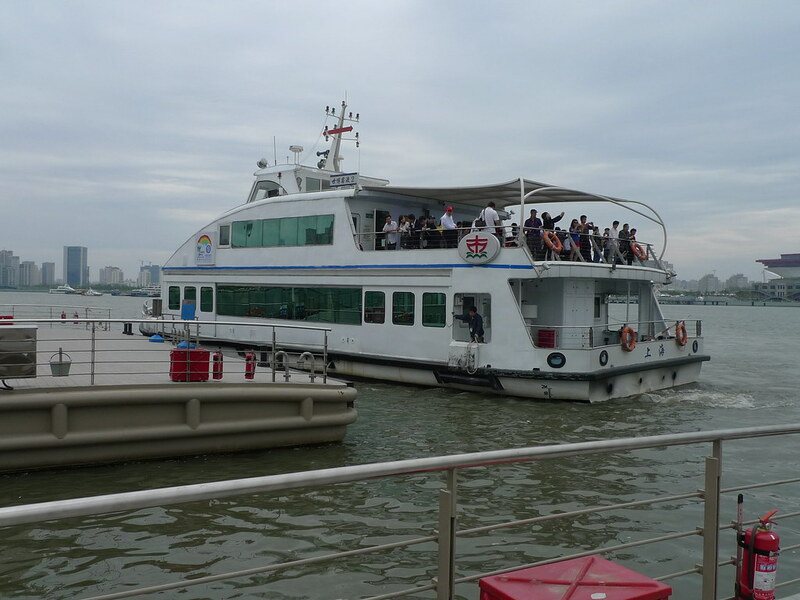 Free ferry services help to bring visitors across the Huangpu River, making it easy for visitors to get to either banks. 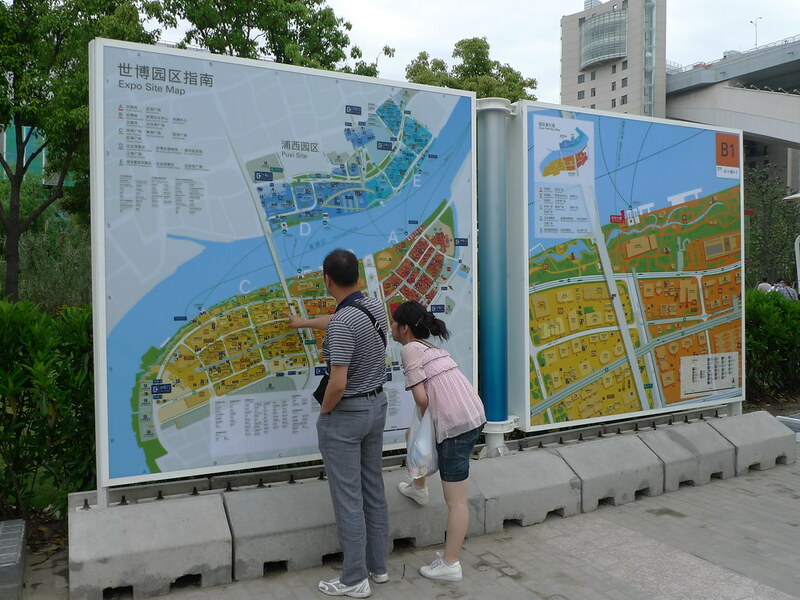 Maps like these are everywhere to make it easy for visitors to navigate around the sprawling area. 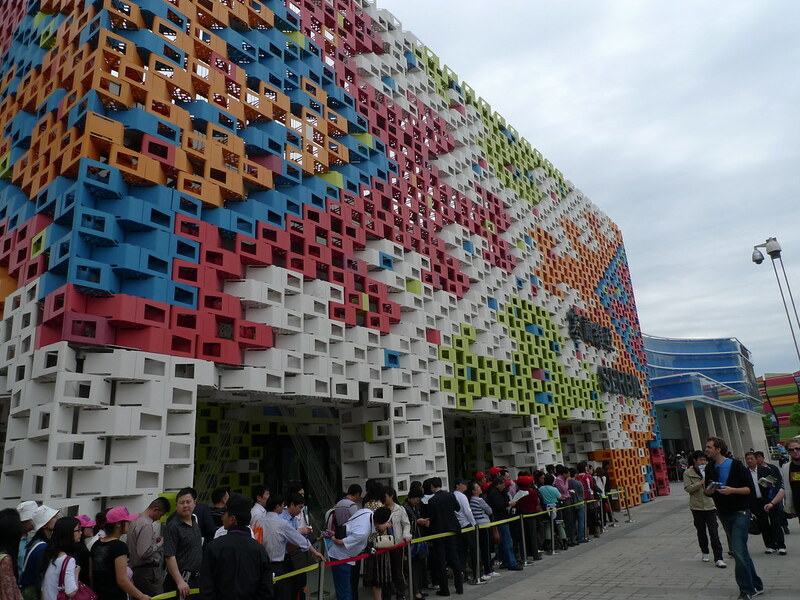 Our first pavillion here belongs to Serbia, with an interesting multi-coloured brick design. 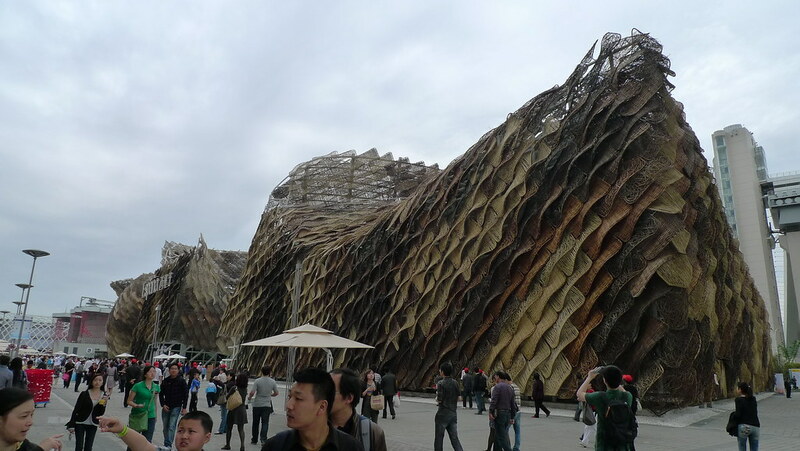 Spain’s organic looking pavillion was covered in fibrous wicker made claddings. 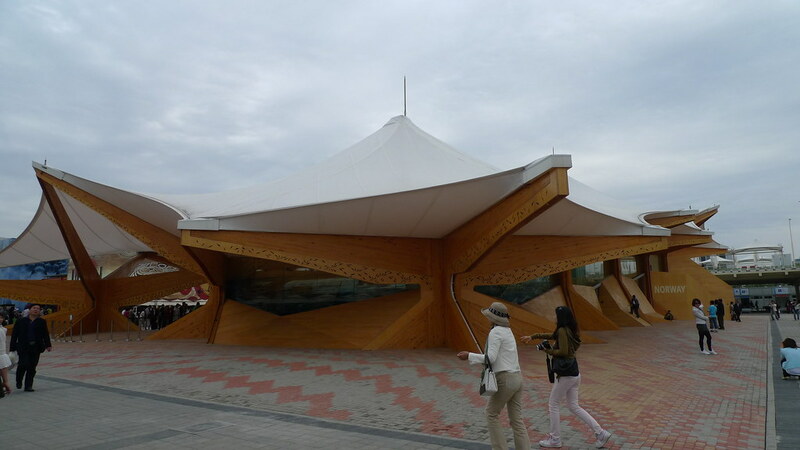 Another highly popular pavillion, this time belonging to France. 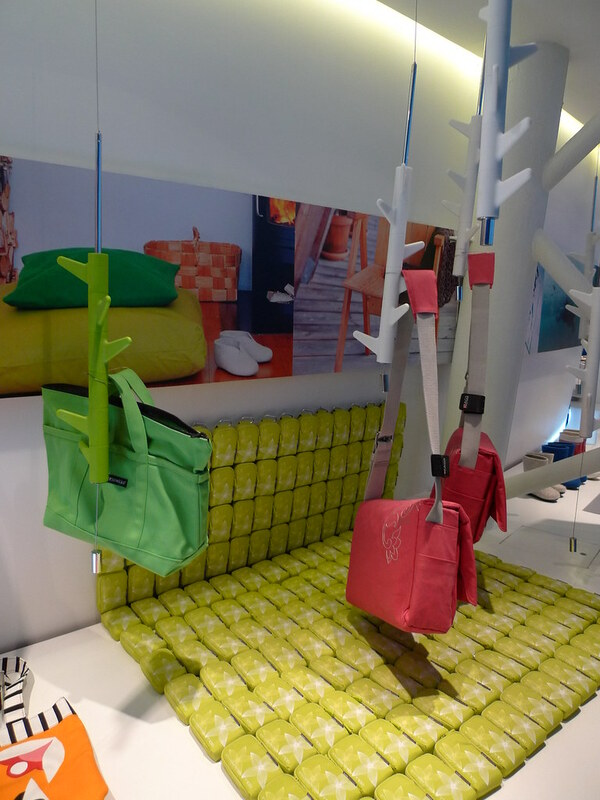 Norway breaks away from the conventional rectangular shapes with its more outdoor oriented pavillion. 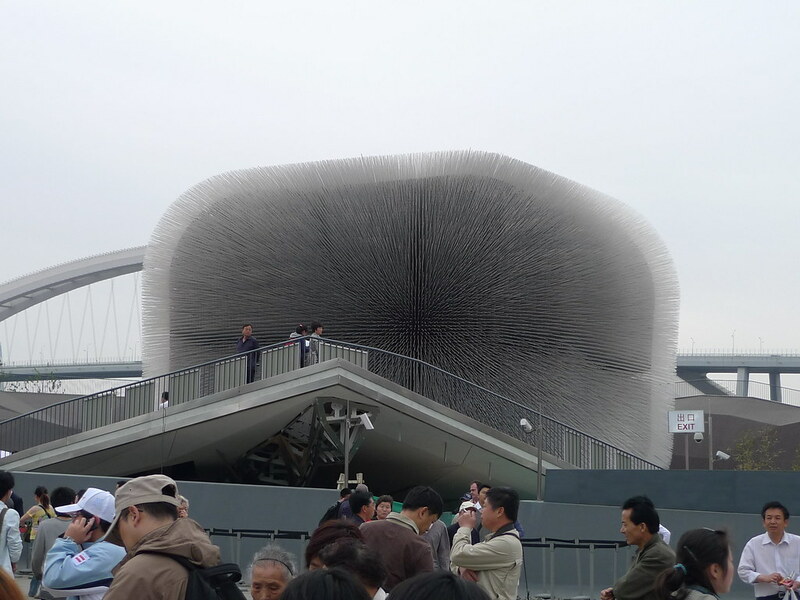 One of the hot favourites, the UK pavillion comprises plant seeds in plastic tubes arranged to look like a giant seed. 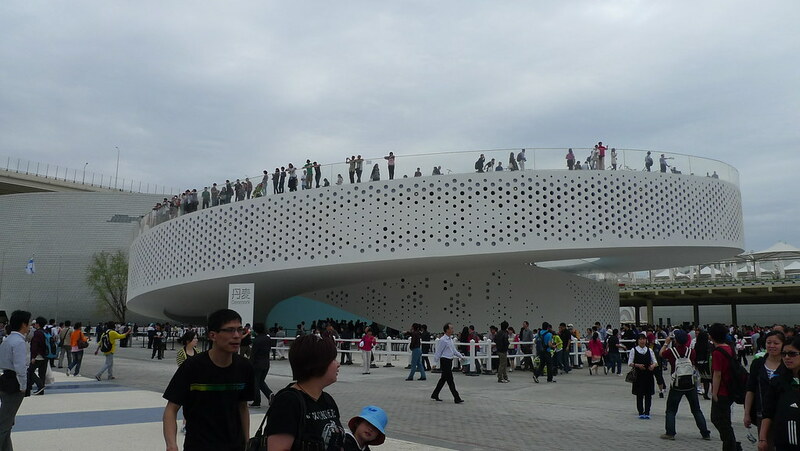 The Danish pavillion had a circular helix shape which provided good vantage points. 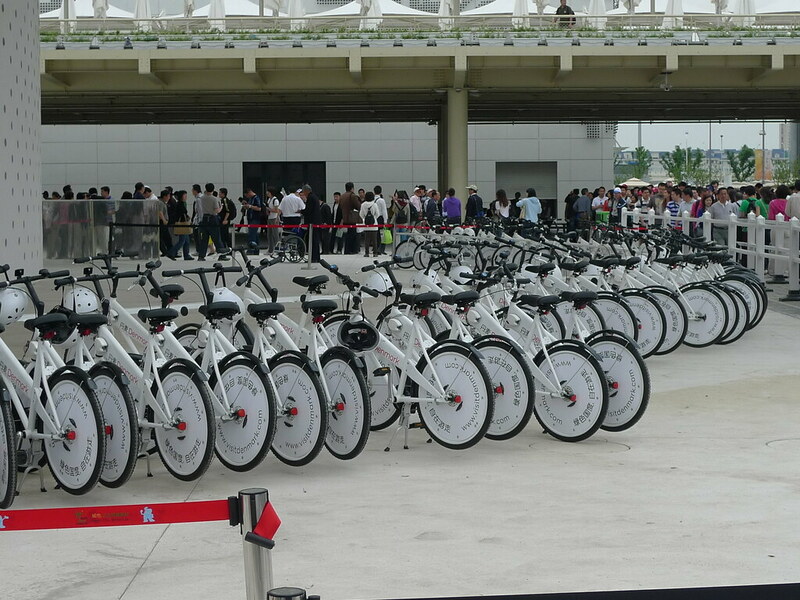 These bicycles show the significance of the green movement at Copenhagen, the capital of Denmark. 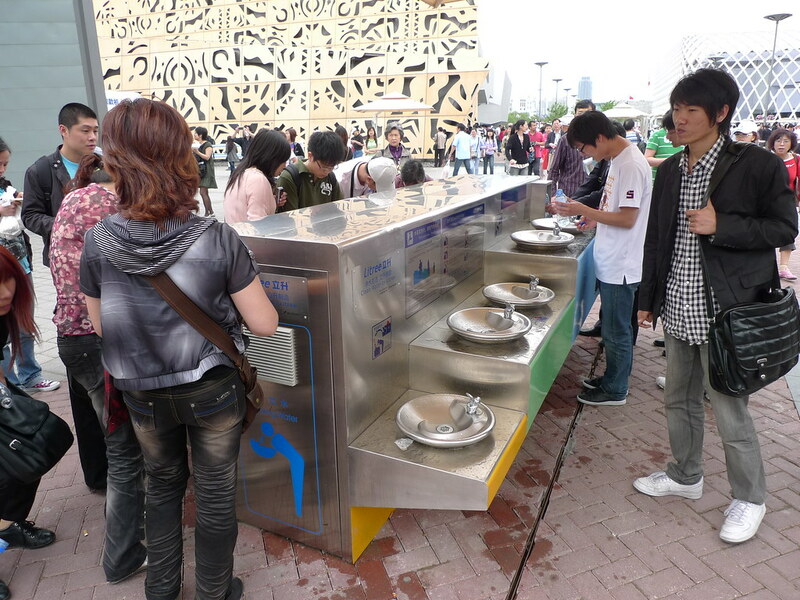 Along the way, water coolers like these help to provide much needed hydration in case it gets too hot. 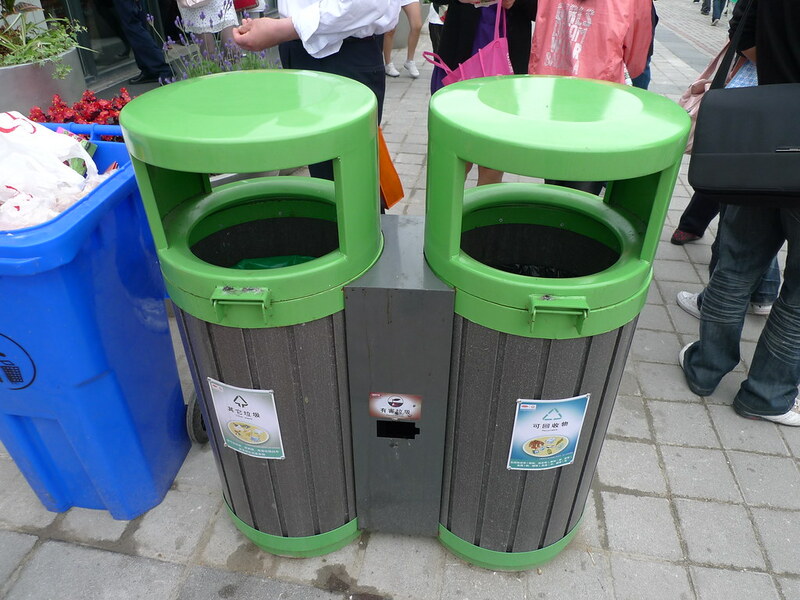 Both rubbish and recycling bins like these were everywhere too. 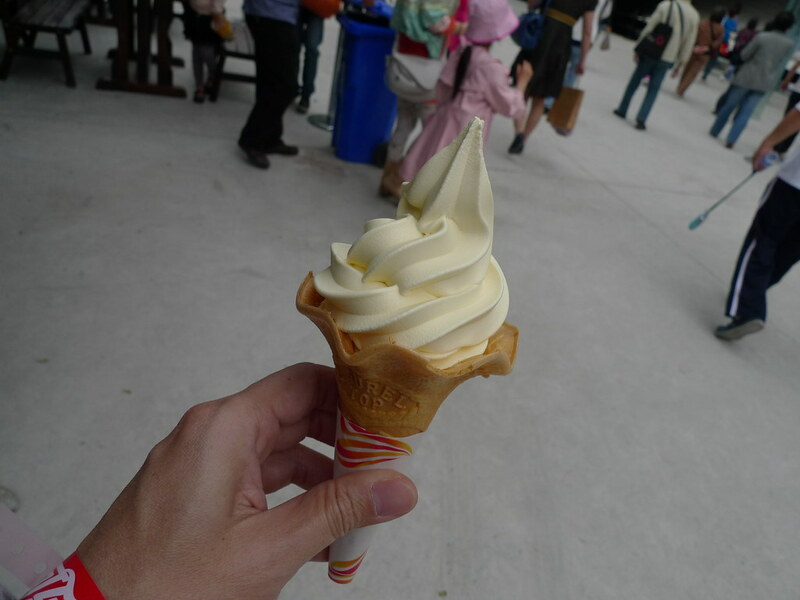 Surprisingly, the place was spotlessly clean despite the massive crowds. 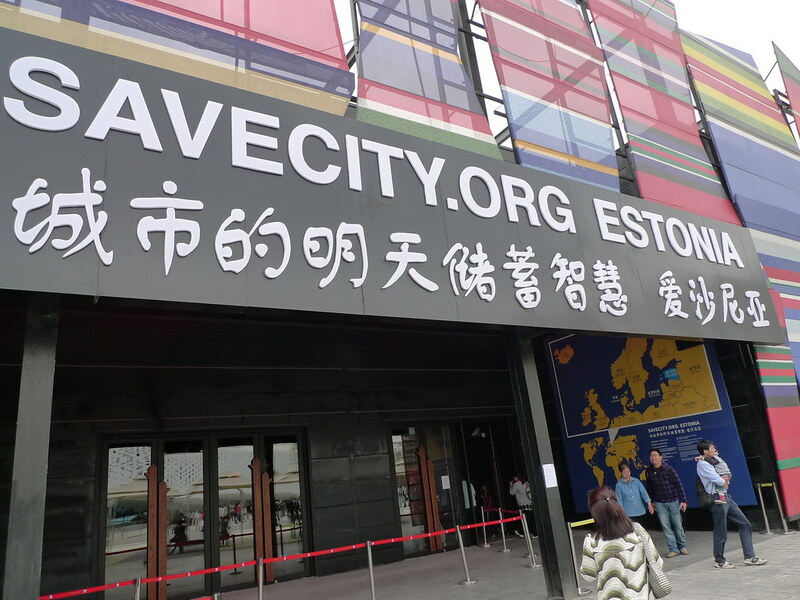 We decided to plunge into a pavillion with no queue, namely that of Estonia. 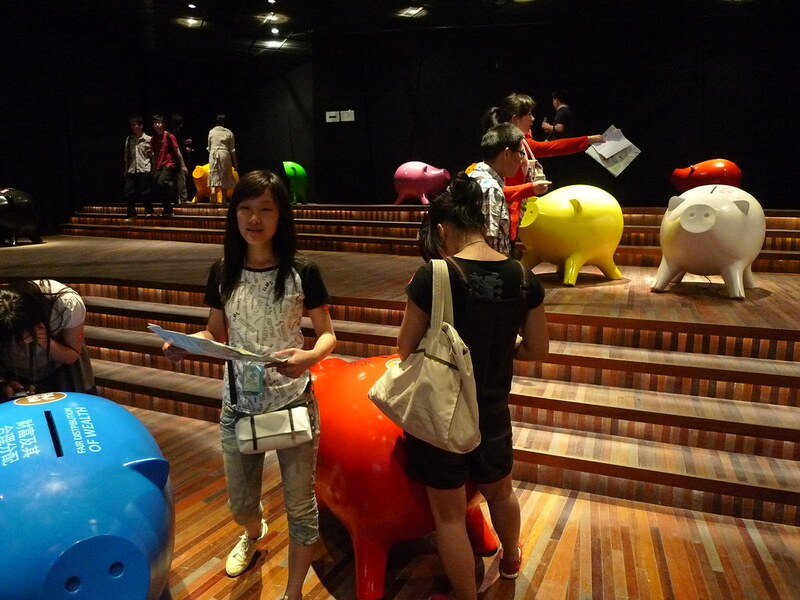 Inside, we were greeted by these huge piggy banks that exhorted people to donate to worthy causes. Hmmm…. 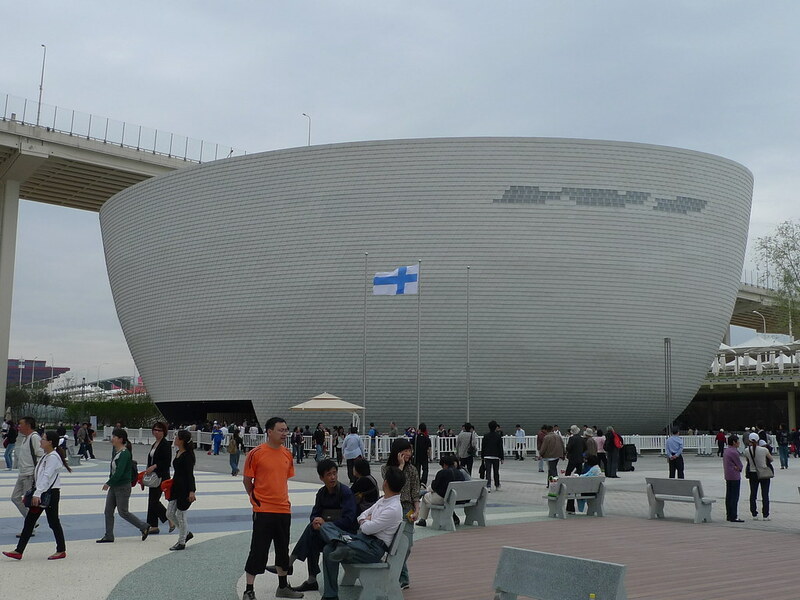 Our next plunge into the air-conditioned darkness went to Finland, which was shaped like a bowl. 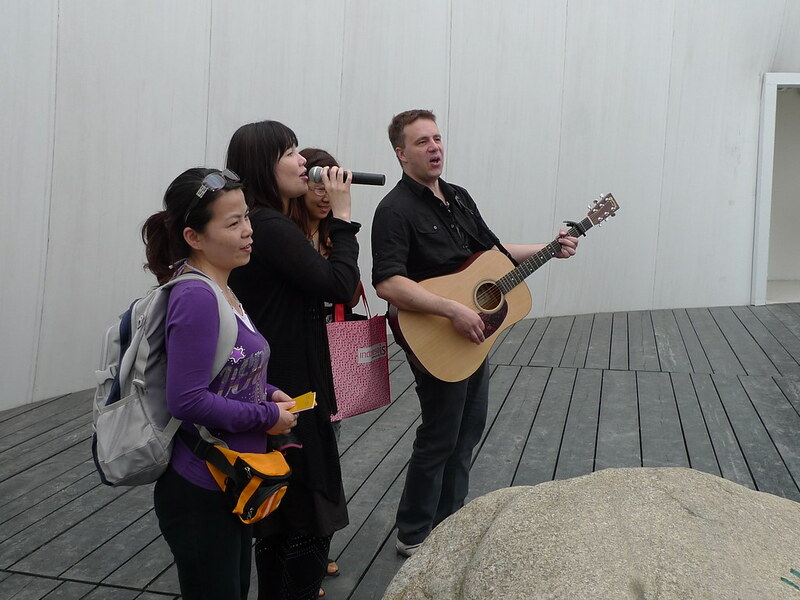 These Finnish performers were quite well-received and the Chinese visitors took photographs with them. 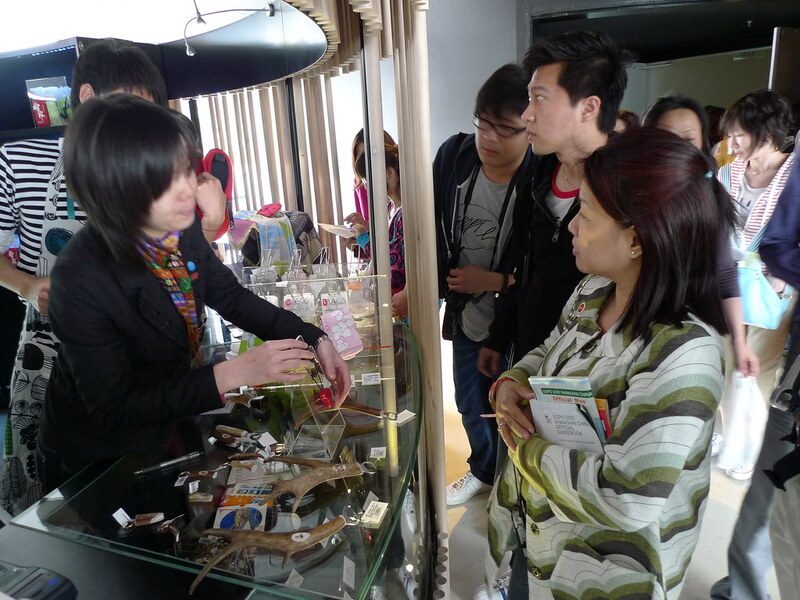 In fact, I noticed that all Asians have a habit of taking non-stop photographs (myself included)! 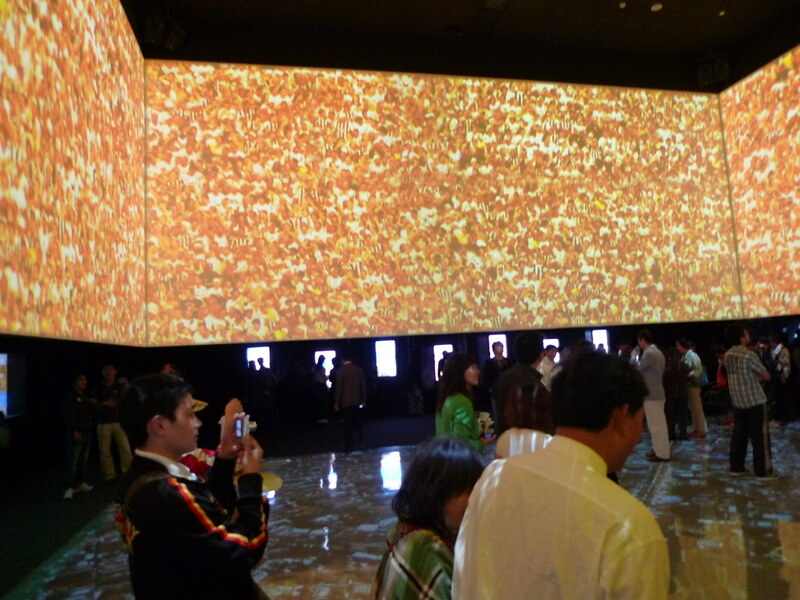 Inside the pavillion, I was awed by a beautiful artistic video wall which added a surrealistic quality to the experience. …as well as the world-famous Nokia brand of handphones. 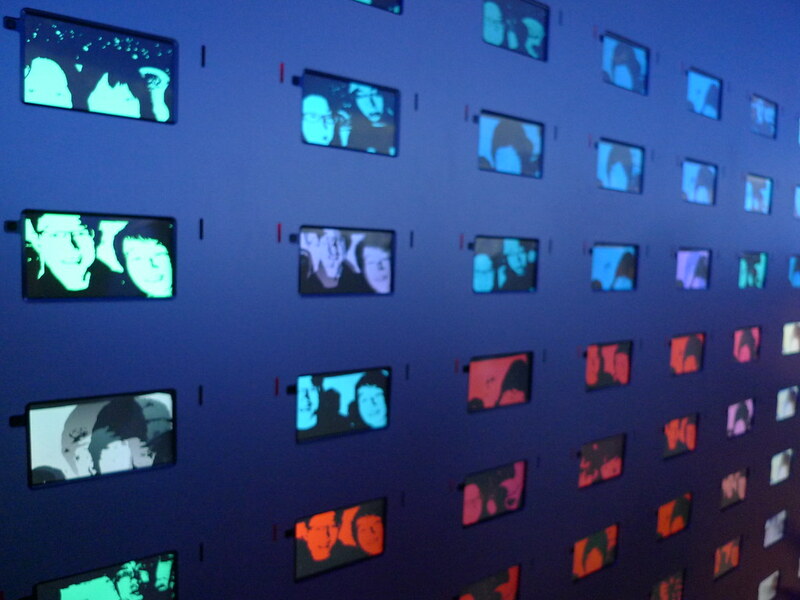 These mobile phone screens showed the faces of visitors in different hues. 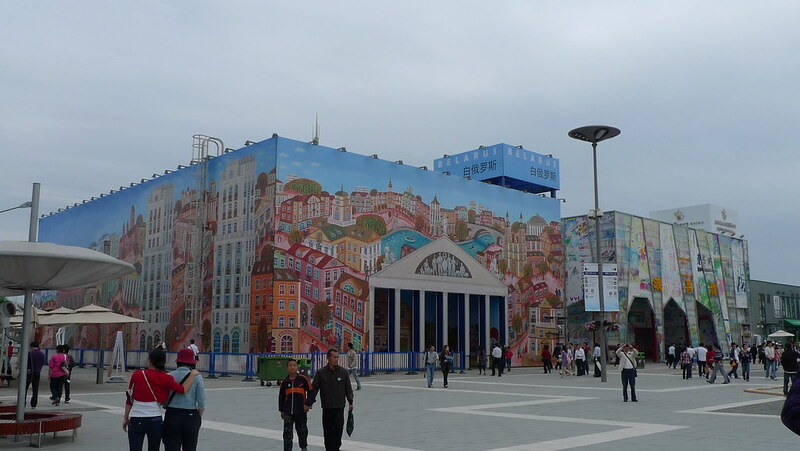 Our final visit at the European section was to Belarus, a brightly coloured pavillion which caught our attention. 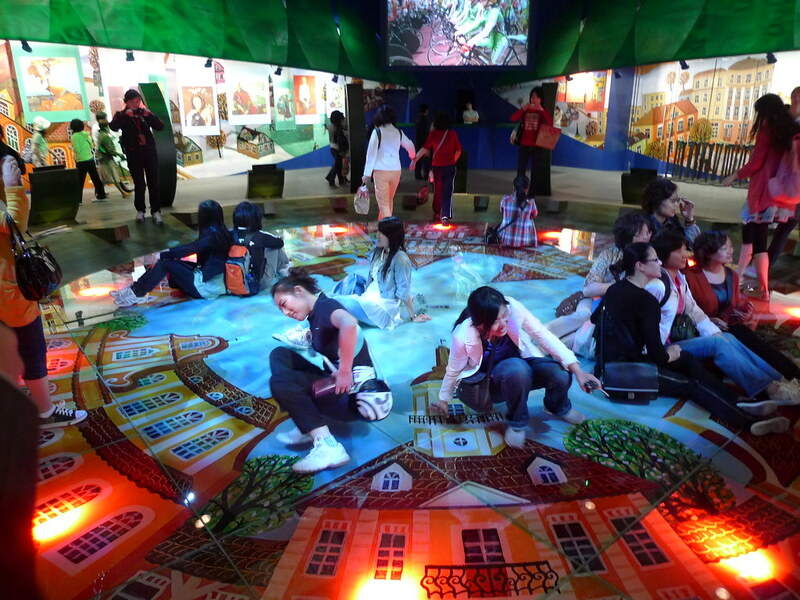 Inside, multi-hued displays of architecturally unique buildings and houses provided lots of room for – you guessed it – photographs! From Europe, we made a “trip” across the “Atlantic” to the Canadian pavillion. 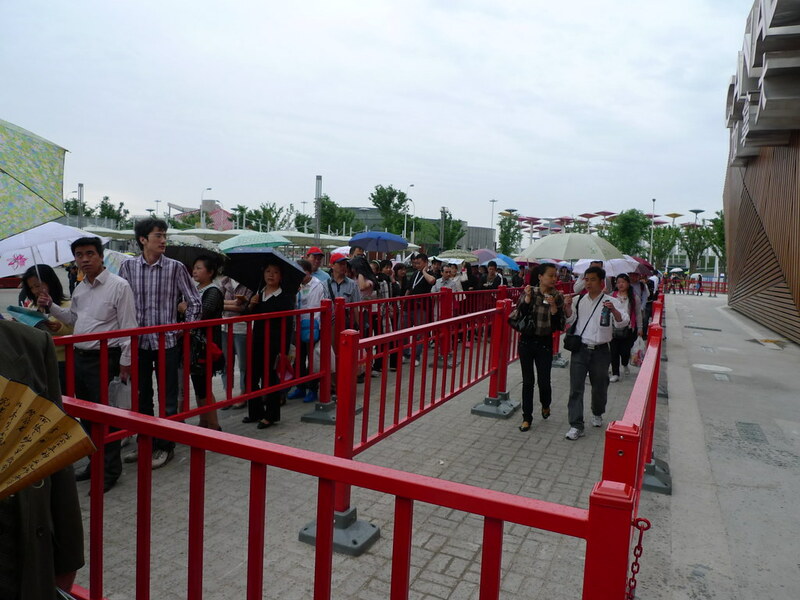 These long queues, like those to the US Pavillion, were the subject of some jokes among us (like whether they were handing out PR application forms). 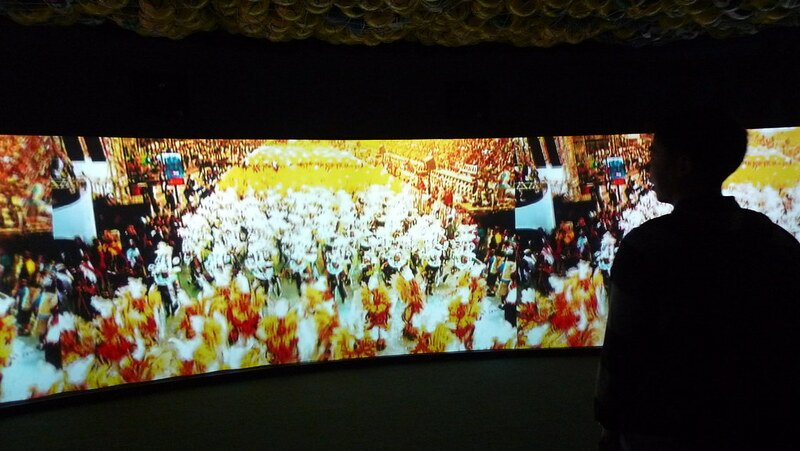 Inside the sprawling pavillion, we were treated to this spectacular video feature wall which changed every few seconds or so. The entire mood was highly atmospheric, and showcased the multi-ethnicity and diversity of Canada (not just lakes, mountains and blue skies). 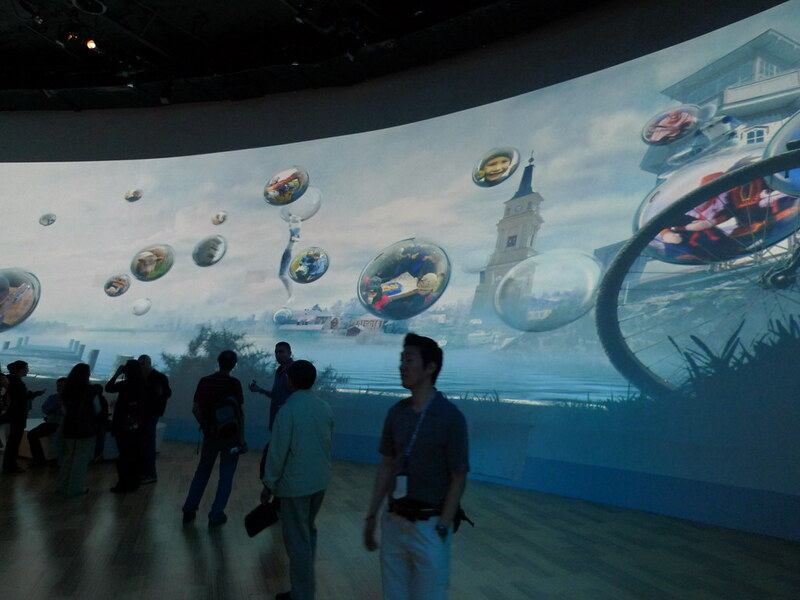 …and experienced a 3-D animated video installation wall. 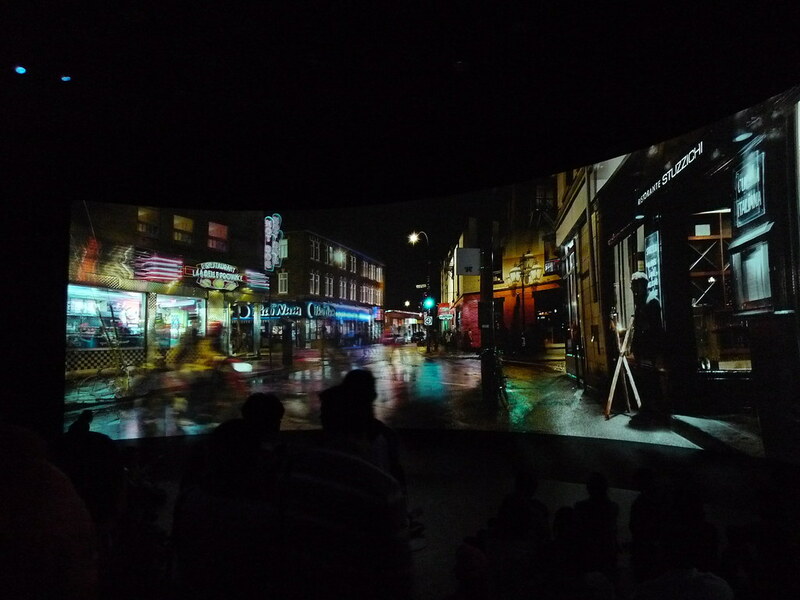 A beautifully shot panoramic theatre greeted us next, showing scenes of urban and cosmopolitan chic. After the long walks, we paused for an icy treat. 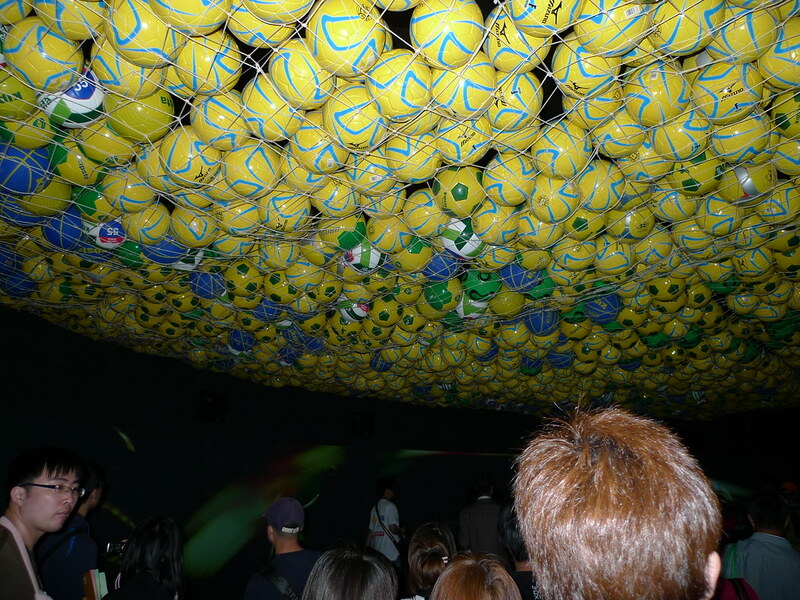 Our next stop was the Brazillian Pavillion, just as World Cup 2010 is around the corner. …the world famous Carnival (or Carnaval in Portugese), which is a grand and hedonistic party held annually 40 days before Easter. 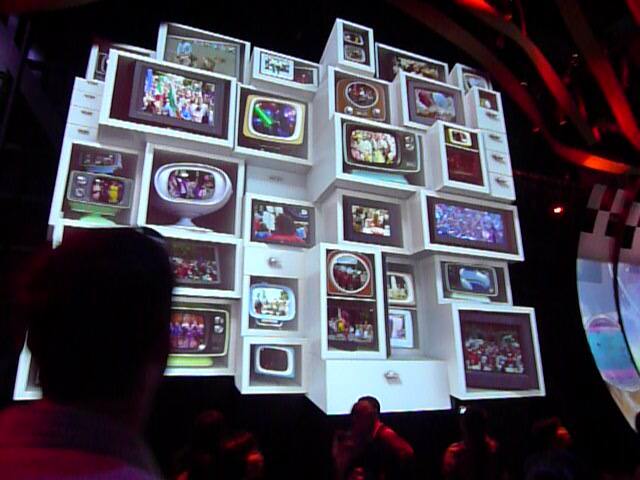 The final room had this moving video wall that made me a little vertiginous and nauseous. 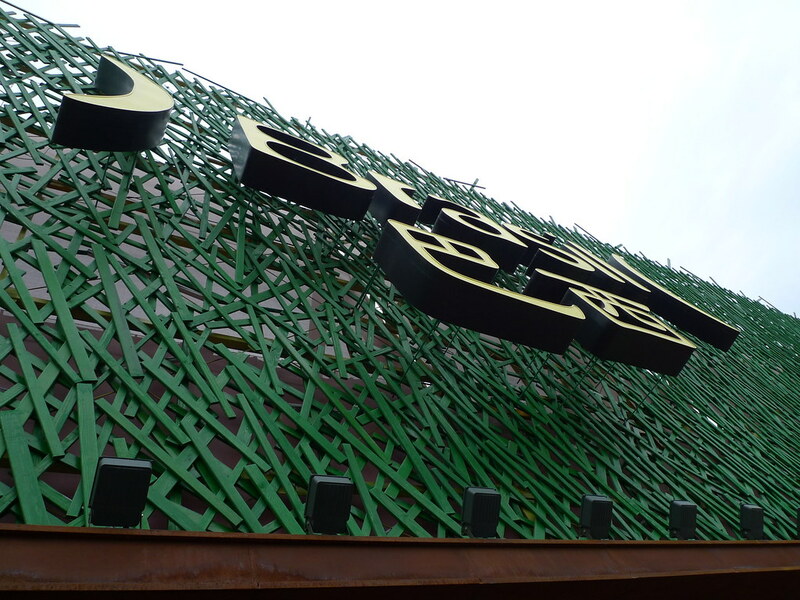 Up next, our visit to Asia and an in-depth look at the Singapore Pavillion! 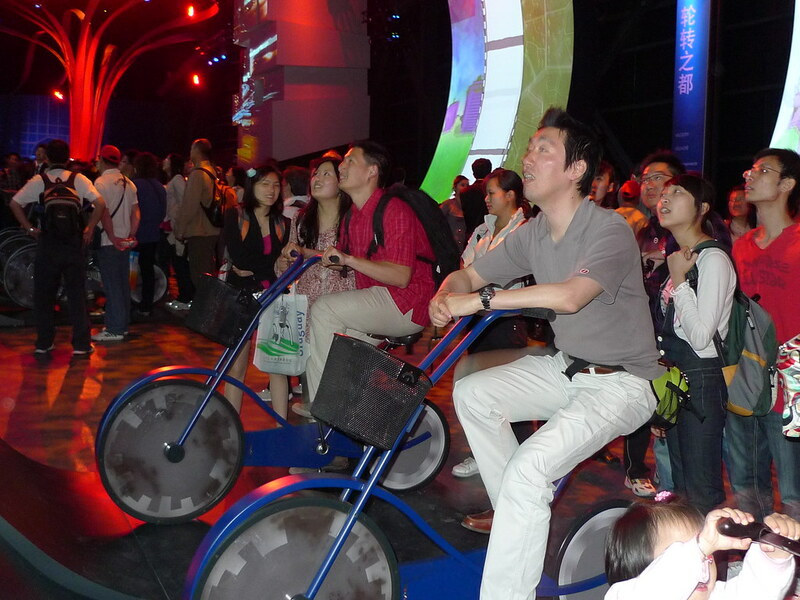 Acknowledgements: This tour of Shanghai World Expo was made possible by Coca-Cola as part of their recent blogger’s tour to the Shanghai World Expo for APAC bloggers. 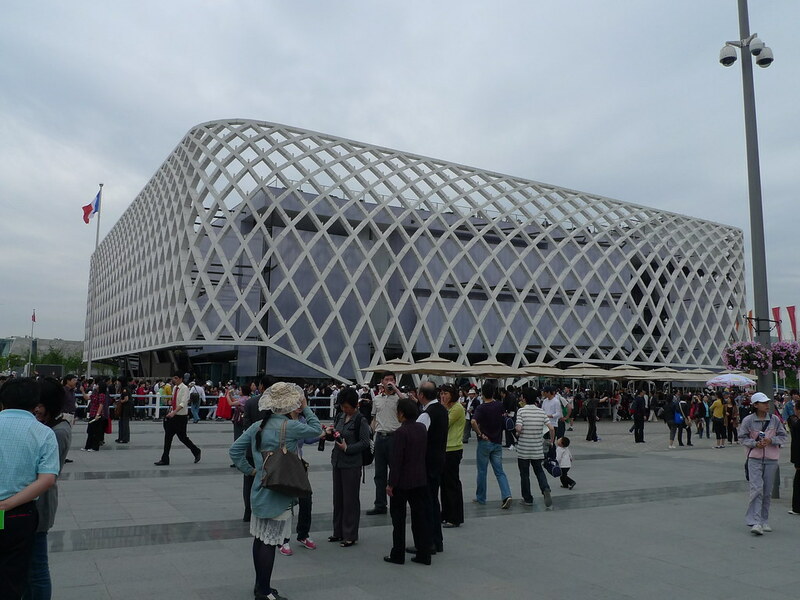 Spain’s pavilion looks like a high-tech camo net. Thank you Walter for a great photos and the commentaries. 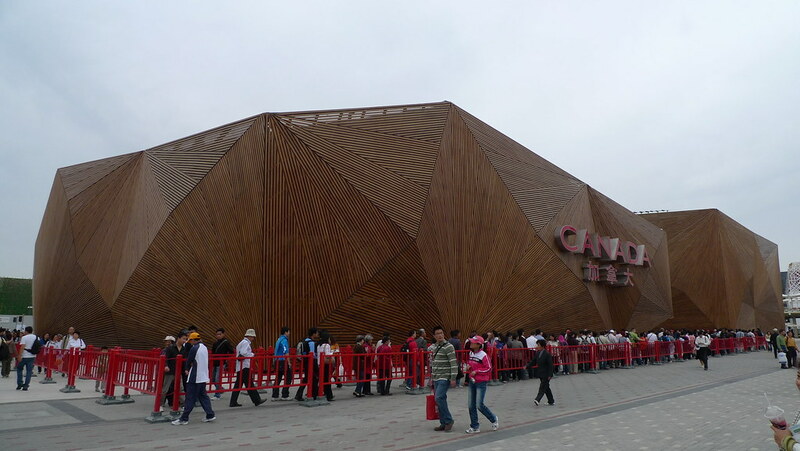 You have helped fill me in with sights and information about the Pavilions I did not get to visit when I was at the World Expo for 6.5 hours with the tour group. I am enticed to visit and experience how life would be in the European countries when opportunity allows. 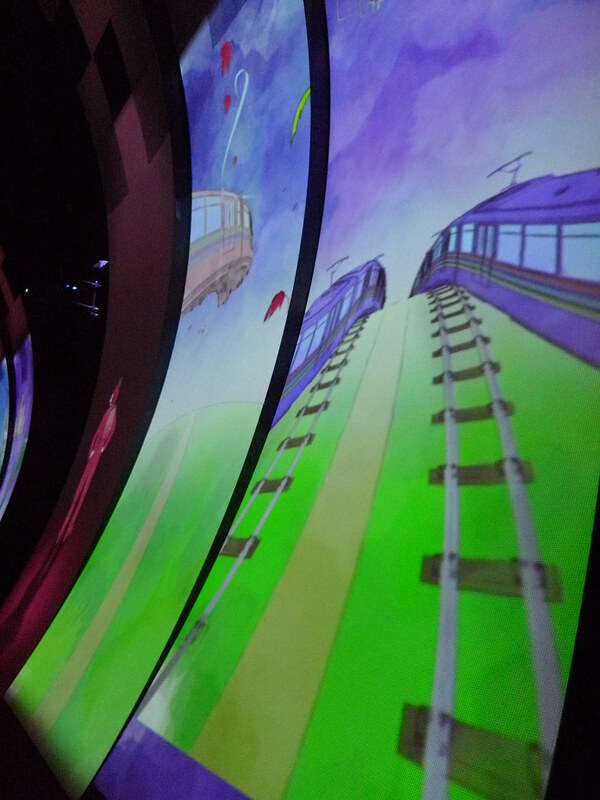 Looks like you are having an incredible time. This is something that it looks like we should all experience in our lifetimes.